For the next week I’m taking a holiday. 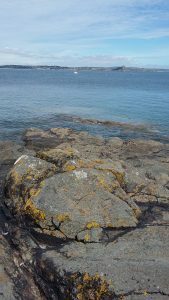 While I’m on my travels, I thought I’d leave you with a couple of photographs from Abi’s Neighbours’ recent holiday to Cornwall. 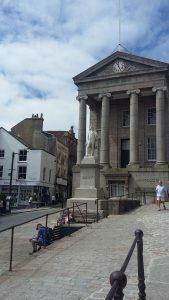 Taking Abi’s Neighbour down to Penzance earlier this month was a wonderful adventure. It was great to see many of the venues that appear in both that novel and it’s predecessor, Abi’s House. 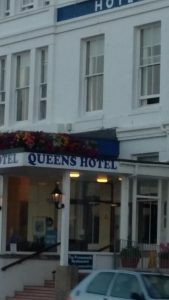 For example- this is the Queen’s Hotel in Penzance. Stan’s favourite place for a cream tea! 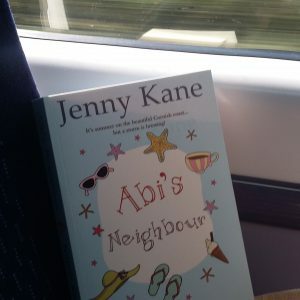 If you’d like to go on a sight seeing adventure throughout Cornwall with Abi, then check out Abi’s House and Abi’s Neighbour. Believe me- there is SO much to see! !